With a sensuous, liquid-like presence, Virage’s sleek, elongated shape is captured in the glamour and gravitas of nickel, communicating a restrained opulence. 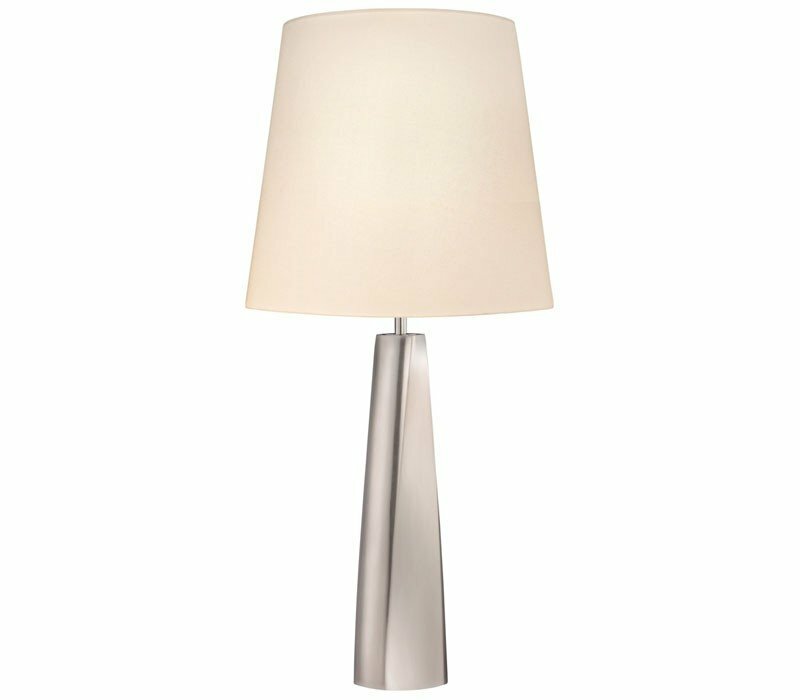 The Sonneman 6105.13 Virage collection Table Lamps in Satin Nickel use Incandescent light output and bring Modern style. This item is 31"H x 15"W. The wattage is 150. The Sonneman 6105.13 requires 1 bulb (not included). Additional Information: Shade-Off-White Linen Shade; Control-3-Way Turn Switch.